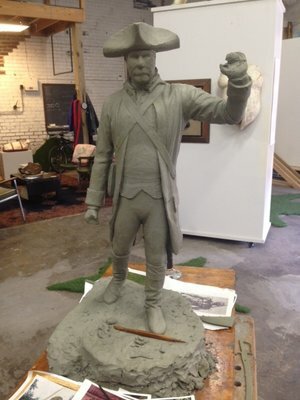 "Colonel William Oldham" by sculptor Matt Weir. Photo by Keith Waits. "In an effort to ensure Louisville’s public art and monuments not only tell our history but also showcase our community values, Mayor Greg Fischer today announced steps to establish principles for such works, while creating additional opportunities for artists to explore issues of race, discrimination, xenophobia and values." Read more, including about LVA's role in this process, here now.